There’s something I love about being busy. Having the day sweep by in a blur as I buzz from place to place doing things I need to do is satisfyingly exhausting. My eyes close and I fall to a dreamless sleep before I have to wake up and do it all over again. I love working with people and using my extroverted side to be loud and obnoxious in an appropriate setting. Sing-yelling how great something is typically isn’t socially acceptable in my life, but with some of the work I do, it’s totally normal. 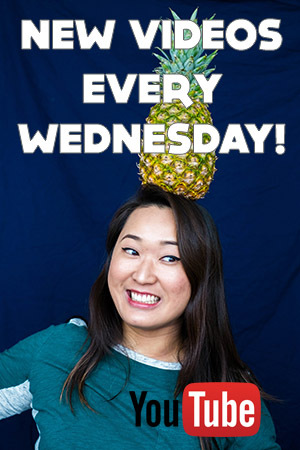 If anything, it gets more people jazzed about whatever it is I’m promoting. If you haven’t figured it out yet, I work in promotions (on top of my other twoÂ part-time jobs) for a couple marketing companies. If you’ve been following my instagram or twitter, you may have seen me working randomly in branded uniform. 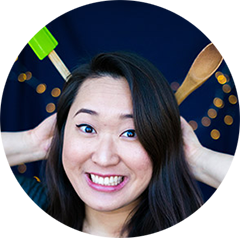 I’ve been doing experiential marketing for about 7 months now, and I thought it would get old or annoying because I know other people who do the same work who are over the whole excitement of it, but I actually really like it. I’m naturally a very excitable person, and with exp. marketing, I get paid to let my extroverted side of me dominate as I belt out things that rhyme with BB cream or shout at people to come get some free stuff. As much as I like doing that work, I love coming back home to do this. Take pictures of beautiful food and show it to you. I instagrammed a halved bok choy because I was randomly awestruck with the simple beauty of nature. The beautiful green leaves, the shadows they create in the light, and the bundle of nutrient-rich crunch is just too phenomenal. I get far too excited over a vegetable. Maybe it’s just me that feels this way, but I’m usually able to tell what my body needs based on what I crave. Or vice versa. When I start getting headaches, I need to drink more water. When I feel sluggish, I realize I should probably take my B12 supplement. When my elbows and forearms start to ache, I used to eat yogurt or drink milk. But now I don’t seek dairy when I need some calcium, I go for these badboys. I used to hate bok choy. If you overcook it, it gets kind of stringy and hard to chew because all the stringy bits of the stem get stuck in between your teeth and it’s probably one of the worst feelings over. I almost always have floss somewhere around because if I don’t, I spend about 20 minutes looking like a moron trying to fish whatever it is out with my tongue. 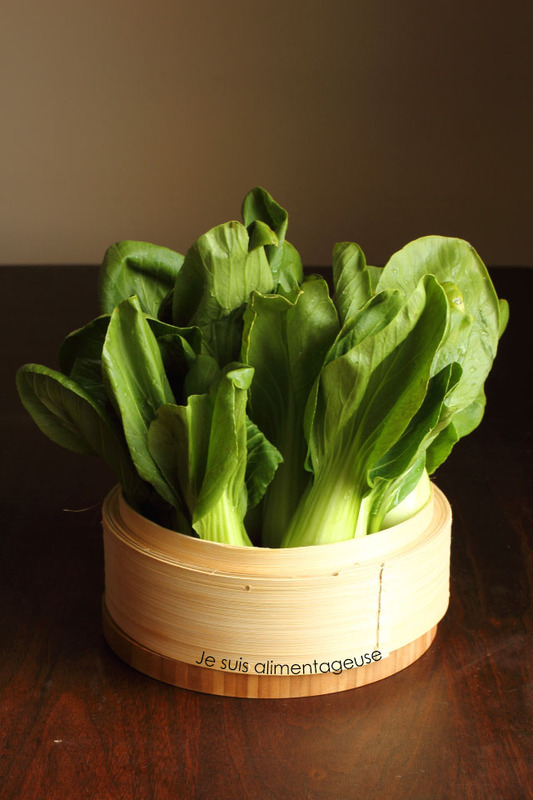 But if you keep the stems fairly crunchy yet still soft enough for the upper leaves to wilt to melt in your mouth, bok choy becomes a vegetable of texturized wonder. Soft, smooth, crunchy, and chewy. HOW DO YOU EVEN?! Hope you’re staying your favourite kind of busy (be it not busy or extremely busy)! To make the sauce, whisk together 1 tsp sesame oil, tahini paste, lemon juice, chili flakes, 2 tbsp water, salt and minced garlic until combined. Set aside. 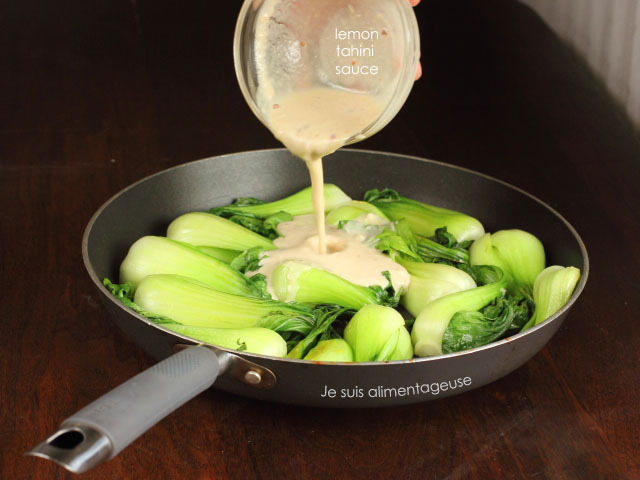 Pour lemon tahini sauce over bok choy and stir to coat (about 1 minute). Turn off the heat and transfer to a plate. 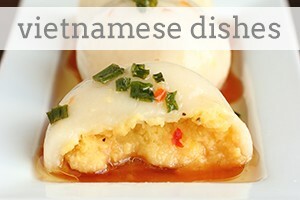 Serve immediately with some rice or noodles! I made this yesterday, and let me tell you...it was delicious! I've been obsessed with Shanghai bok choy for weeks now, and with tahini for, well, forever. This is the perfect marriage of the two! I'm going back to Kensington market for more bok choy tomorrow so I can eat it all week long. Yum! These look so so delicious! Will try them out soon! Hahahha love HIMYM. Chris and I both love olives, so we defy the olive theory. But he likes red-flavoured things, and I like the citrusy green things. It comes in handy with Skittles haha. Dare I dub, the Skittle theory?If you don't like the stem, you can always try baby bok choy instead of the fully green bok choy? The stem is a little less stringy and when cooked, more buttery (or crunchy if you don't cook it all the way). 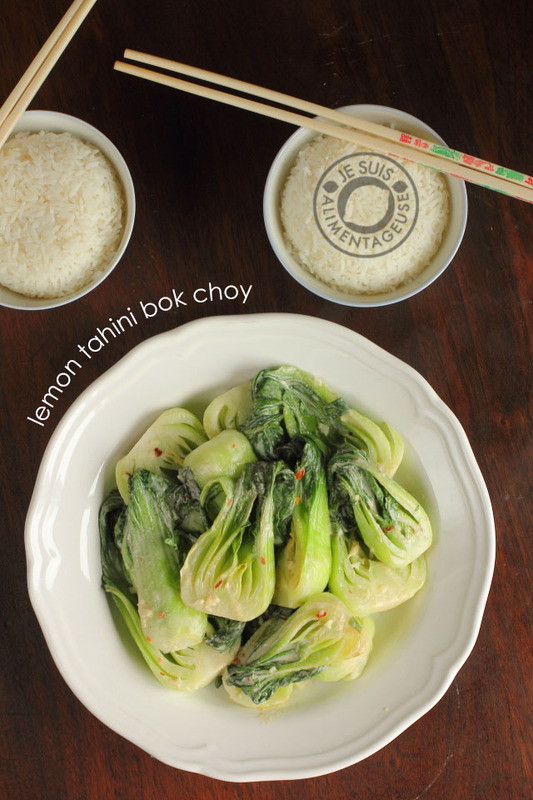 I just got a bunch of bok choy in my organic food bin this week, so I think I'll be whipping some up tonight! I made a yummy lemon tahini dressing last night, with some chopped garlic greens (also from the bin). I didn't even think of putting the dressing on the bok choy, until I saw this! Thank you! On a whim I picked up some bok choy at my farmers market the other day, having no idea how to cook it. 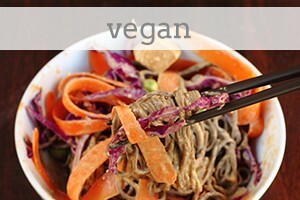 Thank you for this easy and simple recipe, it was amazing! I tried this tonight and I thought it was a nice, savory dish. 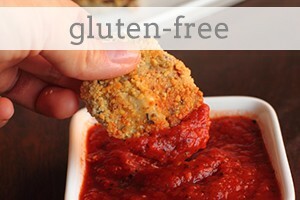 I think it would be great as a side dish since the flavors would compliment many different dishes. The tahini is really pronounced but if you like tahini (like I do) you'll enjoy that. A unique combination and twist on a middle eastern classic. I am a hummus fan and had lots of shanghai bok choi left over from a party so had to try this. Bravo on coming upon this idea.Some nice additions were match stick ginger to the hot oil and threw in some firm cubed tofu near the end. I really liked the creamy slightly sour sauce with tofu and bok choi. It made for a more substantial meal with rice. 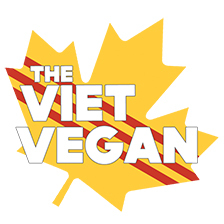 Oooh ginger and tofu sounds really nice with this :) Thanks for trying it and leaving your feedback! This has made it into our regular rotation. We LOVE this recipe. I add water chestnuts and baked tofu and serve it over brown rice. 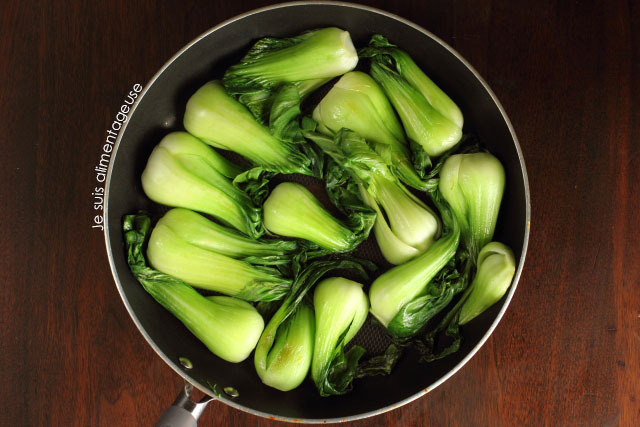 No need for the oil, I just lightly steam the bok choy. It is a complete delicious meal. Thank you so much for the recipe.